(New York, NY) — The 106 condominiums that make up the 205 West Street property in Tribeca are now 70 percent sold. Sales of the condos launched in late summer of 2011 and the closings on the homes are expected to commence in 2012, during the last quarter. The announcement regarding the building’s occupancy was made by Thomas Elliot, the Executive Vice President at El Ad US Hodling, Inc., the developer behind the condominium development. The 205 West Street complex offers a variety of condominium options from loft apartments to four bedroom family homes that reach over 4,800 square feet. According to experts, the impressive sales of these condominiums are showing a trend in the New York real estate market. The Tribeca area is becoming increasingly popular with families and those who work in the financial district of downtown. 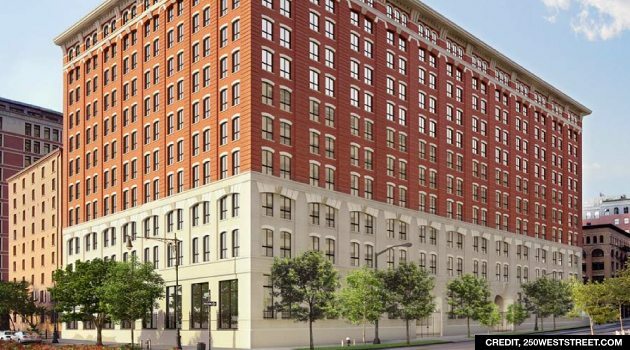 Many buyers who are seeing the limited supply of quality properties still available in the Manhattan area are turning to Tribeca to find homes and are finding great options in the 250 West Street apartments. Even with over 30 different layouts to choose from, one of the most impressive things about this condominium building is the amenities that come with a purchase of one of these beautiful condos. The building includes a beautiful lobby complete with a 24-hour concierge service. There is also a private library lounge, a 61-foot pool and sauna, as well as a state-of-the-art fitness center all inside. The building even comes complete with a 5,000 square-foot landscaped rooftop area as well as a lounge, dining area and sun deck which offer breathtaking panoramic views of the famous New York City skyline. 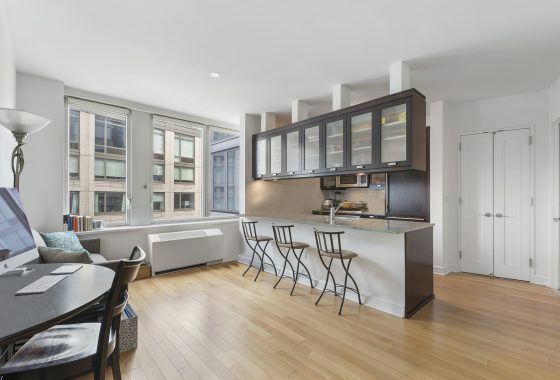 The amenities in this building alone have shown buyers just how luxurious the Tribeca area can really be. With its prime location directly across from the new Pier 25 in Hudson River Park and next to the upcoming Pier 26 development, buyers who decide to buy one of the few condominiums left in this building will be in the heart of all the action in this area of town. With so many buyers already seeing the potential of these luxurious New York homes, it is easy to see why this building is one of the fastest selling developments in the area.